Süle Law Firm represents a niche spectrum of patent litigation matters. It is this experience representing clients in dealings and disputes with competitors that has established in our lawyers a deep understanding of client’s needs, means, and goals. As a result, we have a pragmatic, cost-conscious, result-oriented approach to the problems that employers face. We prefer the up-front, preventive approach which often avoids future litigation. 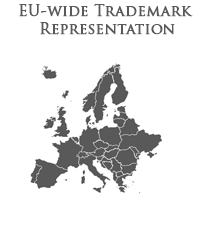 Besides litigation, we are also available for Hungarian utility model and patent filing, prosecution, European patent, PCT national phase applications.